Welcome to the Myths Network – pages dedicated to local talent and like-minded people! Checkout the Community Pages in the menu on the righthand side column of this website. 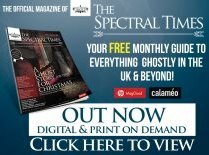 We would very much like this feature to grow, to encompass not only articles, businesses & services – but the latest news, information and ghost investigation reports from Ghost Groups around the world! – Stay tuned.. its gonna be good! Disclaimer: Myths cannot take any responsibility for the services and information contained within these Community pages, any agreement between yourself and the 3rd party is solely at your own risk. Do you have a skill or business you’d like to promote with us? or maybe you’d like to write an article to share?.. here’s the deal..
Myths is a non-profit organisation, we do not charge for a page or advertisement – however.. if you provide a service, we would appreciate a small donation towards the upkeep of the servers, to allow to to continue this arrangement. Any commercial tax paying business that may wish to advertise with us, will be expected to pay a small contribution for our time and effort. All pages are to be vetted by the Admin of Myths, we hold the right to cancel any agreement with us at anytime. We have the right to review existing content hosted our servers every 12 months.